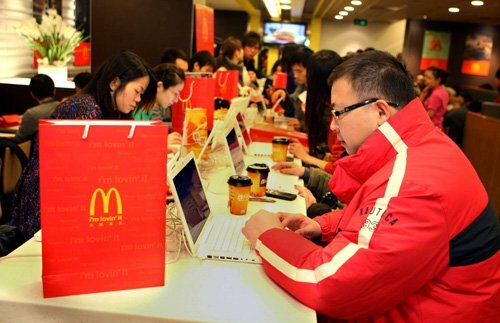 To lure more customers, increasing numbers of local snack stores are following international brands like Starbucks and McDonald, to provide free WiFi that can be used with smartphones and laptop computers. Many demand that customers log in by designated passwords. Local IT engineers are warning about a downside to accessing free WiFi in the risk of losing private information to hackers. With a Win7-system laptop and WiFi-application software, hackers could easily build WiFi hot spots and give their networks similar names as the genuine WiFi system provided by the cafe or restaurants to confuse and entrap the customers. 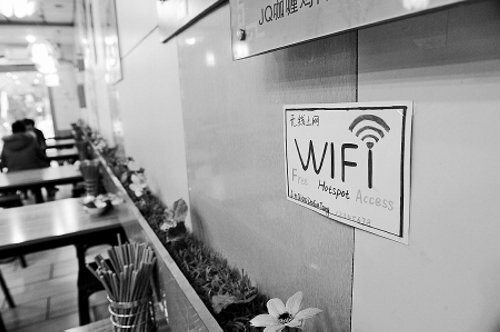 Local snack stores are following international brands to provide free WiFi services. The hackers said they have found that when some customers faced pop-up boxes asking them to input user names and passwords to open the free WiFi service, they gave up easily and resorted to connecting through the fabricated WiFi network that was easier to use as it required no information. The hacking have caused netizens to worry about their privacy because many are now using mobile phones and tablet devices for social networking. A telecom expert has reminded users to confirm the names of internet services with stores before connecting to free Wi-Fi services. So getting a free internet access in Shanghai isn’t considered that safe, you really need to double check the details of the provider.